Last month I wrote about an Air Berlin flight from Berlin to New York City, for which I was planning to redeem British Airways Avios. I had 24,000 Avios in my account, but since British Airways allows cash to be substituted for Avios at relatively favorable rates, I had to decide how many Avios to redeem (including transfers in from Chase Ultimate Rewards) and how much cash to pay for the two tickets I wanted to buy. "ultimately, I fall on the side of redeeming my Ultimate Rewards points for 1.5 cents each. That's because I'm points-rich and cash-poor: if I "saved" my points by redeeming 20,000 or 14,000 of them against the Air Berlin itinerary, instead of transferring in 16,000 Ultimate Rewards points, I would then redeem the corresponding Ultimate Rewards points for cash at just one cent each." My decision was based on the best alternate redemption of the Ultimate Rewards points I already had, which was just 1 cent each for cash redemptions. However, I still wasn't sure how I was going to fly outbound from the United States to Budapest. So before transferring 16,000 Ultimate Rewards points to British Airways, I first checked for award space between Chicago and Budapest, and sure enough the calendar was wide open for economy award travel on Turkish Airlines, United's Star Alliance partner. Suddenly, my alternate Ultimate Rewards redemption wasn't 1 cent each for a cash redemption, but a little over 3 cents each when transferred to United for a transatlantic flight redemption. Now, if I already had enough Avios in my account, I would certainly have redeemed the maximum 40,000 Avios and paid just $178.18 in cash. But I didn't have enough Avios, which is why I had to ask the question of how many Ultimate Rewards points I was willing to transfer in. Since I had 24,000 Avios in my account, the first 2,000 were a no brainer: I would get the full $60 in cash savings value but pay just $20 in Ultimate Rewards points. The next 6,000 would give me just 1.17 cents per Ultimate Rewards point, less than the points' value when redeemed for paid travel and barely more than their cash value. Finally, an additional 8,000 transferred points would yield 1.38 cents per point, which would be worth considering, except that in my case it would first require the above 6,000-point transfer, averaging out to just 1.29 cents per Ultimate Rewards point. Since I already have a planned redemption that offers more than twice as much value per Ultimate Rewards point — my Turkish Airlines flight to Budapest — I ended up transferring just 2,000 Ultimate Rewards points and saving the remaining 14,000 points for my transfer to United Mileage Plus. The lesson here is that the value of points and miles varies, not just between people but for the same person over time, depending on their points balances and plans for redemptions. In my earlier post, I was fully ready to redeem 16,000 Ultimate Rewards in order to save $240 (1.5 cents each). When my plans developed further and I settled on a 3-cent-per-mile Turkish Airlines award, my calculus likewise changed and I became unwilling to transfer more than a nominal number of Ultimate Rewards points. I was right both times, but the more information I had about my future plans, the better my decision became. Is the 100k British Airways Avios offer the worst major signup bonus? and if I don't need that loyalty currency for my strategy, then I don't need a lot of points any more than I need a few of them! The appeal of large signup bonuses to travel hackers is that they offer much larger earning rates than even the bonused earning rates of cards you'd otherwise use to manufacture spend. For example, signing up for a Chase Sapphire Preferred card with a 40,000 Ultimate Rewards point signup bonus after spending $4,000 in the first three months produces a net earning rate of 11 Ultimate Rewards points per dollar spent for the first $4,000. Since the next-highest earning rate is 5 Ultimate Rewards points per dollar spent at office supply stores with the Chase Ink cards, if you value Ultimate Rewards points highly enough you might rationalize applying for the Chase Sapphire Preferred card (but please product change to Freedom as soon as possible!). Before we can say whether a particular signup bonus is good or bad, we have to establish a frame of reference. So here are 11 popular signup bonuses and their associated earning rates (data from Frequent Miler's Best Offers page). These aren't the absolute best offers out there, just what I hope is a representative sample; in other words, the cards I'd apply for if I were building a strategy from scratch. The mean signup bonus from these cards is an earning rate of 21 miles or points per dollar spent meeting the minimum spending requirement. 25,000 additional Avios after spending a total of $20,000 within 12 months. 3.5 Avios per dollar on the next $10,000. In other words, the signup bonus is slightly above average for the first $2,000 you spend (although there's an identical offer with the annual fee waived the first year), but radically below average for the next $18,000 in spend. Even if you relentlessly chase signup bonuses, you should use the $18,000 in spend this bonus requires meeting the minimum spending requirement for the signup bonuses of other, better cards. Spending $18,000 on the Chase British Airways Visa, above and beyond the $2,000 bonus tier, will earn a total of 68,000 British Airways Avios. Spending $18,000 on the Chase Ink Plus at office supply stores will earn 90,000 Ultimate Rewards points, which can be transferred to Avios at a 1-to-1 ratio. That leaves you with a 22,000 Ultimate Rewards point surplus. If your cheapest method of manufacturing non-bonused spend costs $7.90 per $1,000 in spend, and office supply store manufactured spend costs $34.75 per $1,000 in spend, you'll spend $483.30 manufacturing spend at office supply stores instead of putting your cheapest manufactured spend on the British Airways Visa. Since 22,000 Ultimate Rewards points are worth $220 when redeemed for cash, you'll end up with a $263.30 surplus using the British Airways Visa instead. Is that worth doing? You already know my answer: it's worth doing if you have a specific, high-value use in mind for those Avios. 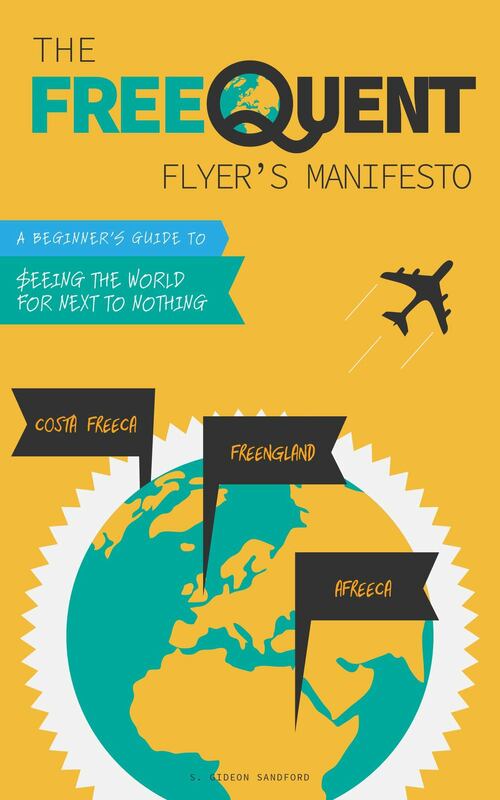 Avios are a valuable, but not versatile, rewards currency. If you can find domestic low-level American or Alaska award space, Avios will almost always be the best way to book it. 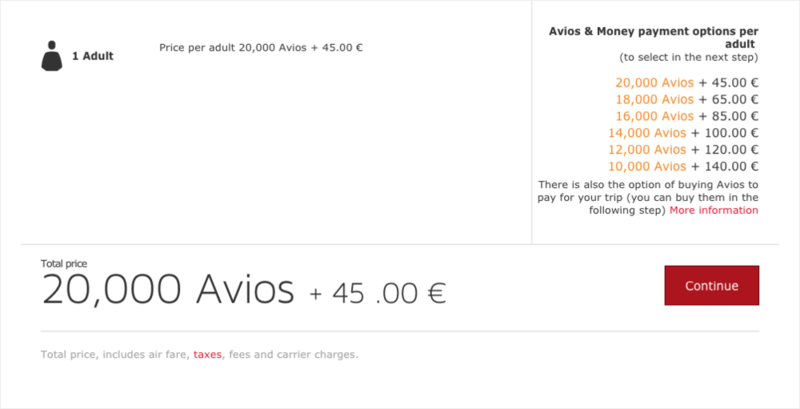 Many bloggers will tell you that Avios are best for nonstop flights, and they're right: they're best for nonstop flights, but you'll often end up paying the same or fewer Avios even on itineraries with connections. Likewise, if you can fly on Iberia metal to Spain and then connect to your final destination (or just visit Spain! ), Avios provide a cheap way to get across the pond. But since Avios are only rarely the best way to book long-haul awards, unless you have a plan for such a large balance, you're better off not earning them.